A lovely black and white portrait of Taryn and Mat on their wedding day at the chic Riviera Hotel in Palm Springs California. 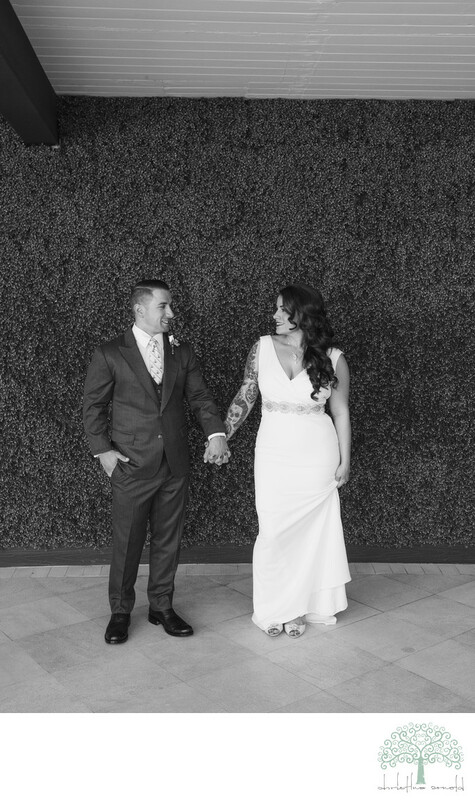 Taryn's dress was a simple yet stunning off white form fitting gown made of luxurious silk. Mat's suit was custom made and the interior lining was the couples wedding "logo" that they designed themselves. So many personal touches at this gorgeous Palm Springs wedding. Location: 1600 N. Indian Canyon Dr. Palm Springs Ca. 92262.